It has been a while since we had anything from the people of Albion – well, ever since we've bled to news that the supposed cooperative RPG (Fable Legends) has been canned altogether. 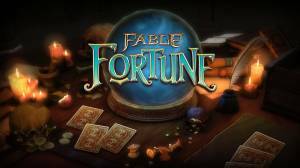 Not until, the second quarter of 2016, where Flaming Fowl Studios, a new developer trimmed down from the original developers of the fable franchise (Lionhead), took collectible card game Fable Fortune to Kickstarter – of course with the approval of the franchise owner, Microsoft. Though unsuccessful on their attempt to finance the full build of the game and get some traction, it’s alpha version gained some rather good praises (while others claimed it to be a clone of hearthstone – a CCG spin-off of the Warcraft franchise) and landed a private funding from Steam. Since then, a closed Beta version of the game was released early this year (which migrated all its Kickstarter backers), and was promised for an Open Beta (Early Access) 11th of July 2017 on Steam, which was then delayed for two more weeks and finally released its early access on the 25th of July. The final build of the game will be free-to-play, but its Early Access would set you back for $15 for a Founder's pack (which will promptly be used for further development of the game). This will include over $40 worth in in-game items like 20 packs of cards, an exclusive Chicken Vengeant card, Unique Founders Card, Bonus Fabled Card, Flaming Fowl Trophy Card, and the very rare Giant Egg card (all of which should be migrated when the final build will be released). In this game, you get to play as one of the six unique Heroes (each pre-built with their specific basic Deck of cards) in CCG manner and choose to play against an AI opponent, or a live online competitor. The franchise’s spin-off combines the familiar fantasy-themed world and characters of Fable with a fast-paced and strategy-inclined, deck-building gameplay. Definitely a must-have game for all CCG veterans and lovers of the franchise! Why is Fable Fortune in Early Access? What is in the Early Access? Will Beta Access Progress be Wiped? No discussions open for Fable Fortune at the moment.